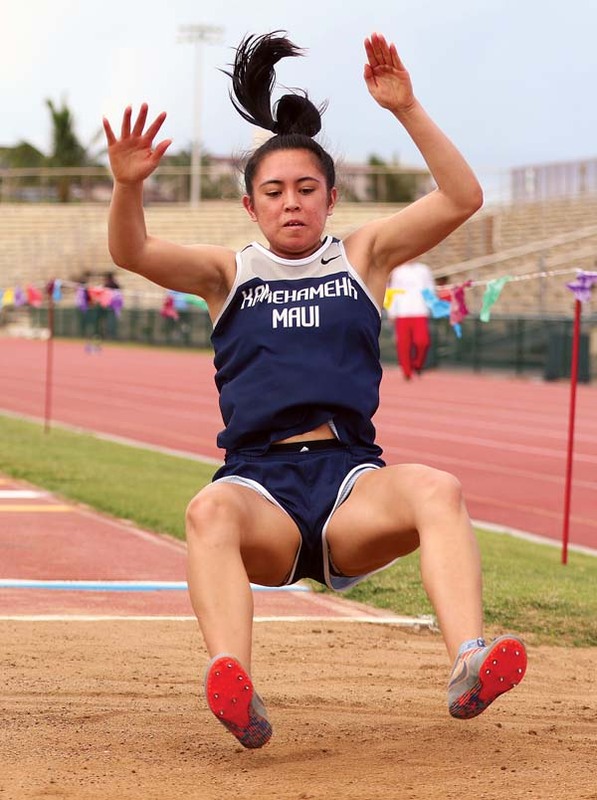 WAILUKU — The Satoki Yamamoto Invitational track championships were all about statements on Saturday night at the Yamamoto Track & Field Facility. From veteran performers to brand-new track athletes, the competition starts to ramp up with the first two-day meet of the season. 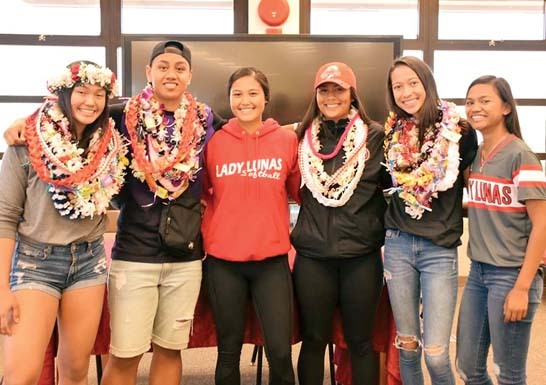 The five-time defending Maui Interscholastic League champion Seabury Hall girls easily won the Yamamoto team crown with 169 points, more than double the 83 by second-place Kamehameha Maui. The Spartans’ Veronica Winham, a two-time state cross country champion, won the 800 and 3,000, and anchored the victorious 1,600 relay. She was second to teammate Chloe Gangnath in the 400. The 12-time defending MIL champion Baldwin boys also rolled to the title, piling up 184 points, 93 more than Maui High. Payne won the 100, 200 and 400 at the MIL championships last season and has his eyes set on state crowns in the shorter distances this year. On Saturday, he finished the 100 in 11.00 seconds, just off the Yamamoto meet record of 10.97 set by Baldwin’s Bailey Kaopuiki in 2016. Payne’s winning time of 22.14 in the 200 also missed the meet record of 21.89 set by Baldwin’s Keelan Ewaliko in 2013. Payne, the three-time MIL Division II boys basketball Player of the Year, is eyeing a partial track scholarship at Seattle University for his college future. First, he will finish his stellar career in a Spartans singlet. 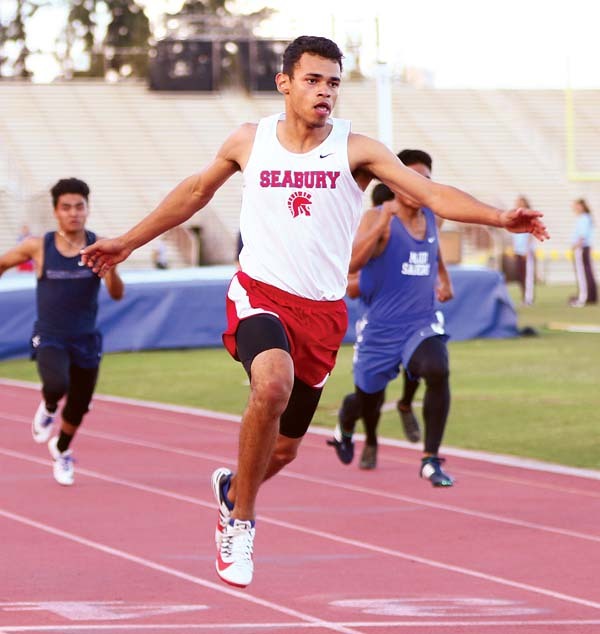 Seabury Hall hopes to give the Baldwin boys a run for the MIL title next month. Baldwin has some new faces mixed with the old this year — MIL soccer standout Angelo Deloso-Flocco jumped 37 feet, 9.5 inches to claim fourth place in the triple jump. 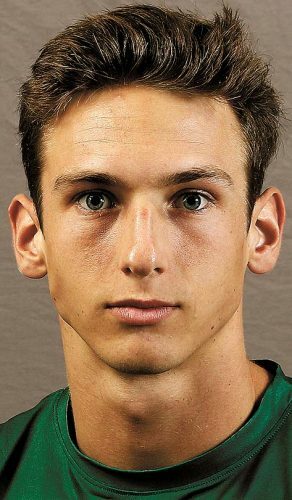 He never competed in track and field until his prep soccer career ended with a co-state title a month ago. He finished just under two feet behind teammate and winner Christian Reinhardt (39-8.5). Like Payne, Deloso-Flocco is close to making a college choice — he is set to officially visit Nevada-Las Vegas this week. 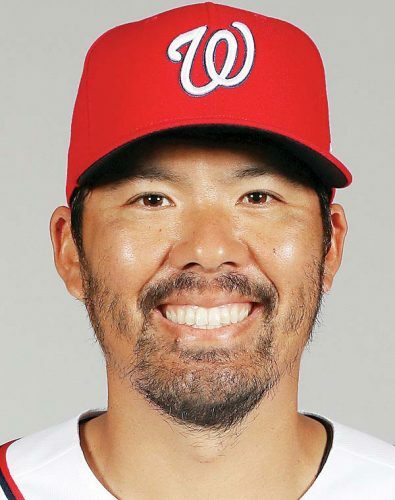 He has already visited Portland, San Diego State and UC Santa Barbara. 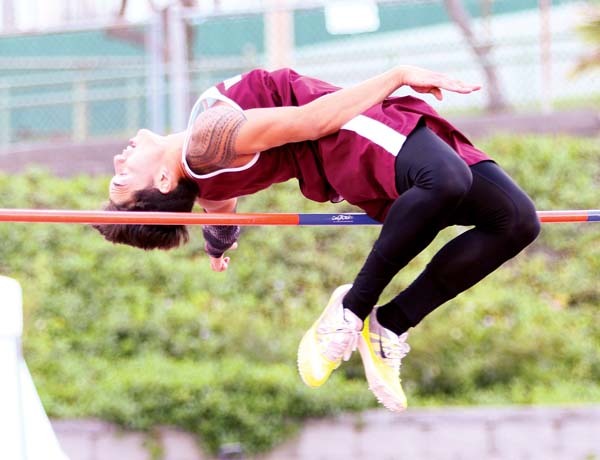 Baldwin teammate Shawn Silva won the high jump by clearing 6 feet, 2 inches a night after he finished second in the pole vault at 12-6. 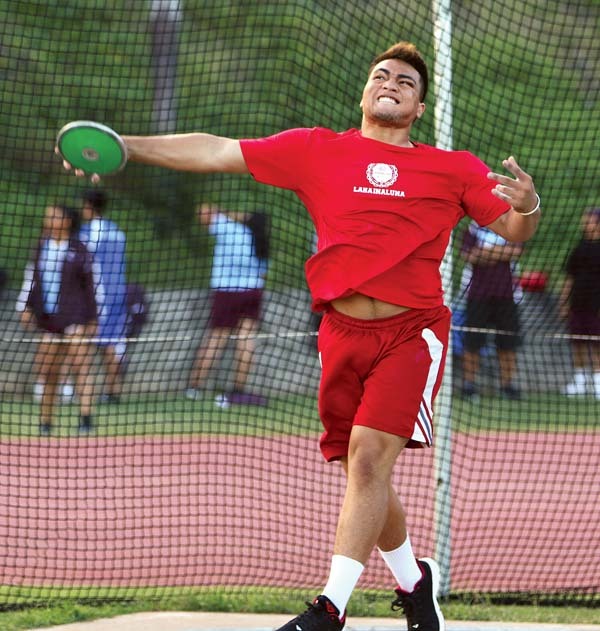 Lahainaluna junior Apakasi Felemi won the boys discus by more than 12 feet with a best toss of 129-7. He finished fifth in the shot put at 39-0. He is also a starting offensive lineman for the two-time defending Division II state championship football team.